A combined ticket allows you to enjoy the Cable Car as well as to visit the fortress with all its exhibitions and culinary delights. 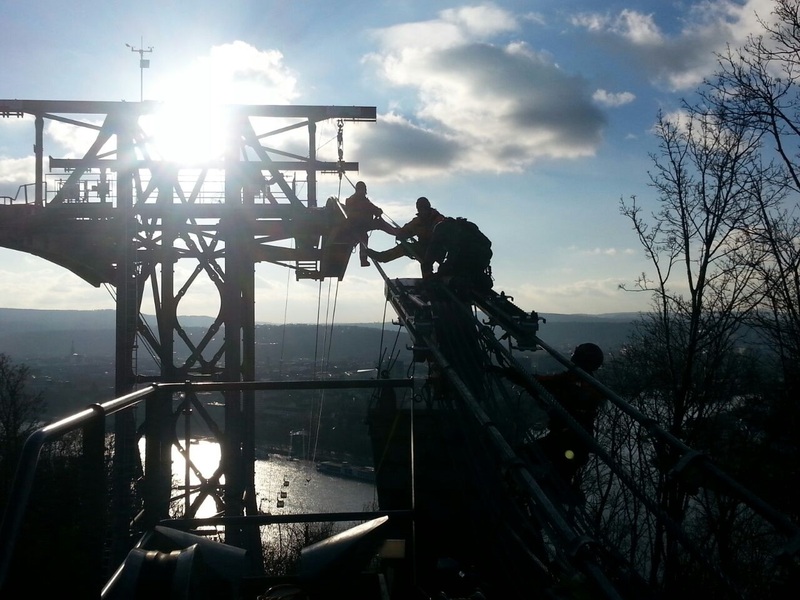 With the Cable Car-only ticket, you can travel over the Rhine to reach the fortress grounds or the old city of Koblenz without any accessibility restrictions. The fortress-only ticket gives you acces to the fortress grounds including the museum and exhibition buildings and to the restaurants. 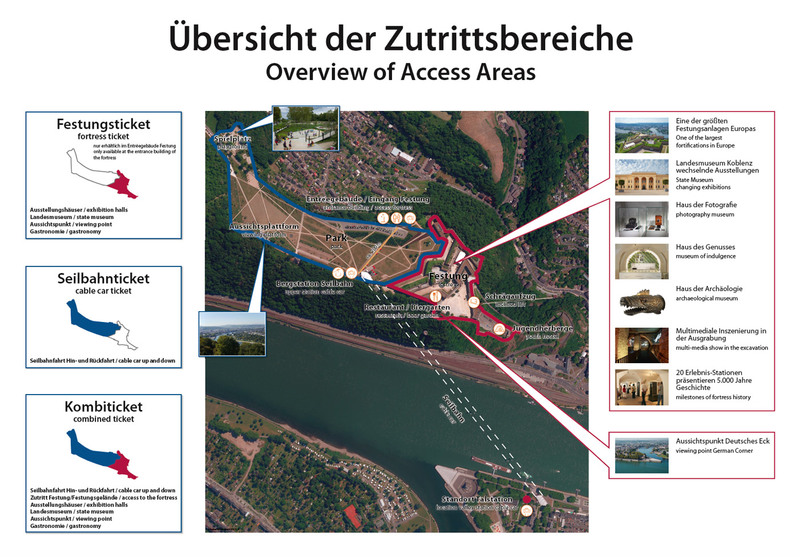 Please note that when special events are being held Ehrenbreitstein Fortress can only be accessed with event tickets. The normal day tickets are not valid on such days.